BuroHappold’s Commercial offering continues to break new and exciting ground. We embrace digital innovation to deliver three dimensional engineering solutions that promote positive interaction between people, improve the quality of the built environment, and leave the lightest footprint on our planet. Our Asia, India and Middle East region (AIME) surges ahead. For example, the mixed use Kompleks Dayabumi dev-elopment is regenerating the community at the heart of Kuala Lumpur’s historic cultural district. In the US, The House at Cornell Tech is set to raise the bar when it comes to sustainable, commercial-residential development, becoming the world’s tallest Passive House building. And in the UK, we have transformed an inefficient brutalist structure into the multi award-winning David Attenborough Building, a sustainable hub from which the conservation community of Cambridge can lead global biodiversity efforts. collaborate with architects and clients around the world. From using BIM to design in real time, to streamlining construction schedules and conducting post occupancy evaluations – we have enhanced our processes so that we deliver even greater value for our clients across the lifecycle of their projects. Our research around how design can deliver a Winning Workplace is ongoing. Having identified the design elements that influence employee health and wellbeing, we are now working with clients to develop bespoke tools that will allow us to realise buildings and spaces that make people feel great, help them carry out their work, and enable businesses worldwide to thrive. Cambridge is home to a number of conservation organisations that are making significant contributions to global biodiversity efforts. The university wanted to create a place where these organisations could work alongside its students and researchers to effect even greater change. The site chosen for this initiative was a 1960s building notorious for its poor environmental performance. Our engineers carried out refurbishment of the entire building, developing the low energy and passive strategies that revitalised this brutalist icon and reinvented it as the David Attenborough Building – a highly efficient collaboration hub for the conservation community of Cambridge. Engineering and Sustainability Project of the Year Award. Best Conservation, Alteration or Extension Award. The new Zalando Headquarters complex will unite the various departments of Europe’s largest online fashion retailer for the first time. Our engineers used BIM throughout the design process, enabling us to integrate our structural and building services strategies to deliver solutions that have both the efficiency to meet our client’s high energy targets, and the elegance to be exposed as part of the visual expression of the building. The House at Cornell Tech fuses fearless ambition with groundbreaking design to realise the tallest Passive House building in the world. A global high performance sustainability standard, Passive House demands energy reduction of 60-70% against code for a project to gain certification. We led the development of innovative strategies to achieve these rigorous criteria in a large scale commercial complex for the first time. Efficient systems, a high performance facade and a well-insulated building envelope play a key role in our design, and create quality living conditions for students, staff and faculty across 350 units. A pioneer in sustainable development, The House signals Cornell Tech’s position as leader in the field of tech education. 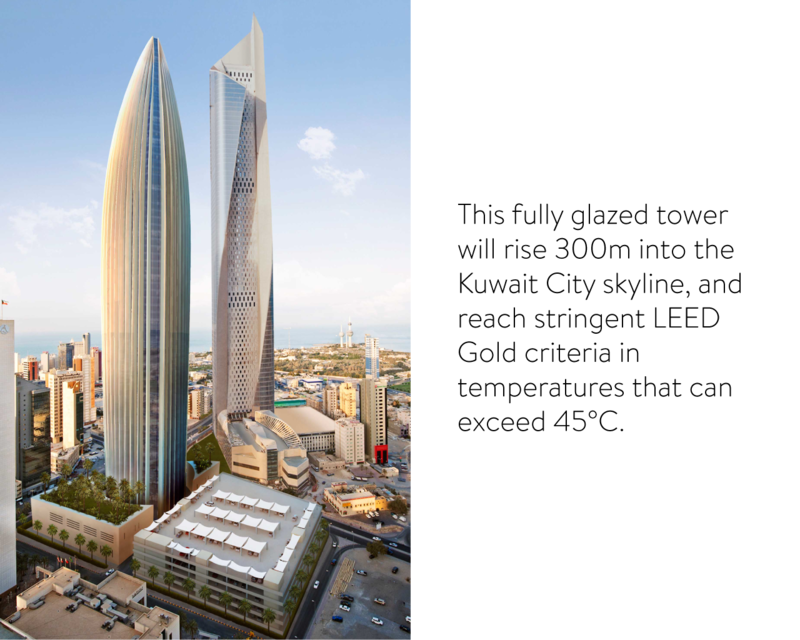 Situated in one of the most hostile inhabited climates on Earth, the new National Bank of Kuwait Headquarters will deliver both an architectural and an environmental statement. Our design for the tower’s superstructure was key to attaining these credentials, featuring giant shading fins that protect the building and its occupants from solar gain while also providing vital structural support. On completion, this magnificent building will provide the winning work environment required to attract and retain the best staff in the world, while treading lightly on the earth and leaving an enduring legacy of visual elegance. It took skill and ingenuity to walk the tightrope between pioneering urban design and sensitive integration with historic surroundings, and deliver a landmark project for Kuala Lumpur. The new Kompleks Dayabumi Tower features a fully glazed facade that etches a contemporary signature in the city skyline, while reflecting significant buildings such as the National Mosque, Federal Courthouse and Central Market in tribute to the heritage of the area. Home to a luxury hotel, prime office space and retail facilities, this forward looking commercial development will invite economic growth and renewed interest into the rich cultural heart of Kuala Lumpur, without sacrificing its integrity.